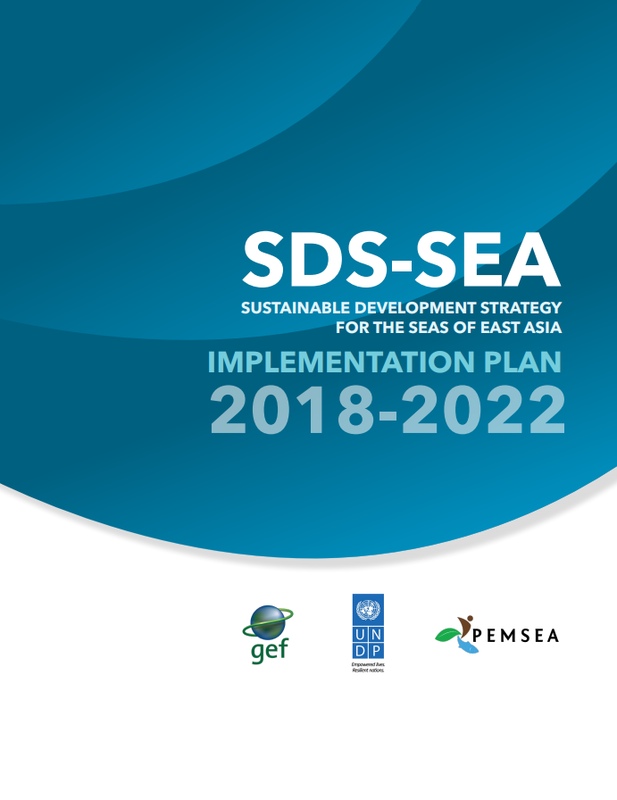 The Sustainable Development Strategy for Seas of East Asia (SDS-SEA) was adopted by 12 governments in December 2003, namely: Brunei Darussalam; Cambodia; China; DPR Korea; Indonesia; Japan; Malaysia; Philippines; RO Korea; Singapore; Thailand; and Vietnam, with the signing of the Putrajaya Declaration of Regional Cooperation for Sustainable Development of the Seas of East Asia. In 2006, the governments of Lao PDR and Timor-Leste also adopted the SDS-SEA. As originally drafted, the SDS-SEA incorporated relevant international conventions, existing regional and international action programs, agreements and instruments, as well as applicable principles and implementation approaches for achieving sustainable development of the Seas of East Asia. It did not create a new set of obligations but rather complemented existing ones. The SDS-SEA 2015 has been updated to address the changing context in ocean governance, in light of new or amended international and regional agreements, including the UNFCCC, the Sendai Framework for Disaster Risk Reduction, the Rio+20 “The Future We Want”, and the UN Sustainable Development Goals (SDGs). The SDS-SEA 2015 provides a framework for policy and program development and implementation at the regional, national and local levels for achieving the goals and targets set by these various global instruments. The SDS-SEA also provides a platform for cooperation among PEMSEA Partners and collaborators, as well as other stakeholders. The SDS-SEA 2015 contains seven strategies, and related objectives and action programs for sustainable development of coasts and oceans. The DEVELOP strategy concerns new and emerging development policies and investment strategies of countries of the region and opportunities for development of the “blue economy”. The objectives and action programs in the Develop strategy emphasize the use of integrated coastal management (ICM) as an effective management framework for achieving economic improvements in the marine sector while securing social and ecological well being. The SUSTAIN and PRESERVE strategies address issues related to biodiversity protection, conservation and rehabilitation, enhancement of freshwater and marine water quality and equitable and sustainable fisheries…essential aspects for sustainable development of the coastal and ocean economy. The PROTECT strategy addresses the brown agenda…pollution reduction and waste management from land- and sea-based sources, while the IMPLEMENT strategy focuses on compliance with relevant international conventions and agreements, and the execution of related obligations at the regional, national and local levels. The ADAPT strategy focuses on climate change adaptation and disaster risk reduction and management by strengthening capacities and measures for preparing, adapting and responding to natural and man-made hazards. The COMMUNICATE strategy is an overarching commitment to information and knowledge-sharing and the mobilization of governments, civil society, the business community, scientists and universities, and the region’s youth for sustainable development of the coastal and marine environment. While the SDS-SEA 2015 is considered to be non-binding, over time countries have developed confidence in the development and application of integrated coastal and ocean management as an effective tool for achieving the SDS-SEA objectives (See SDS-SEA Regional Review 2003-2015). Building on this progress and taking into consideration the new opportunities and challenges ahead, strategic targets have been identified for monitoring and assessing progress with SDS-SEA 2015 implementation across the region over the next five years. The SDS-SEA 2015 and strategic targets are set to be adopted during the Fifth Ministerial Forum on 20 November 2015 in Danang, Vietnam. The updated strategy is the region’s concrete response to the UN SDGs, and will lay down a stronger commitment from the countries of the region to ensure a sustainable path for the Seas of East Asia. By 2017, a self-sustaining PEMSEA Resource Facility managing and coordinating a suite of products, services and financing mechanisms for advancing SDS-SEA implementation at the regional, national and local levels. By 2018, a regional State of Oceans and Coasts reporting system to monitor progress, impacts and benefits, and to continually improve planning and management of SDS-SEA implementation. By 2021, national coastal and ocean policies, and supporting legislation and institutional arrangements set up and functional in 100% of PEMSEA Partner Countries, consistent with international environmental and sustainable development commitments and based on best available scientific information. By 2021, ICM programs for sustainable development of coastal and marine areas covering at least 25% of the region’s coastline and contiguous watershed areas, supporting national priorities and commitments under the UN SDGs, UNFCCC, Aichi Biodiversity Targets, UNISDR Post-2015 Framework for Disaster Risk Reduction, and other relevant environmental and sustainable development targets subscribed to by PEMSEA Partner Countries. The Sustainable Development Strategy for the Seas of East Asia is a package of applicable principles, relevant existing regional and international action programmes, agreements, and instruments, as well as implementation approaches, for achieving sustainable development of the Seas of East Asia. It offers a regional framework for the interested countries and other stakeholders to implement, in an integrated or holistic manner, the commitments they have already made, without assuming new legal obligations. The SDS-SEA embodies the shared vision of the countries and other stakeholders for the Seas of East Asia, and the ways by which they will achieve that shared vision. The SDS-SEA IP 2018-2022 is composed of 3 Priority Management Programs and 3 Governance Programs. The Priority Management Programs include: a) Biodiversity Conservation and Management; b) Climate Change and Disaster Risk Reduction and Management; and c) Pollution Reduction and Waste Management. The cross-cutting Governance Programs include: a) Ocean Governance and Strategic Partnerships; b) Knowledge Management and Capacity Development; and c) Blue Economy Investment and Sustainable Financing. Each Priority Management and Governance program includes 3 parts: (1) an introductory section providing an overview of the priority issue area/program, the region’s current situation and major efforts undertaken, and remaining gaps and challenges; (2) a summary of key international and regional commitments directly relevant to respective priority program; and (3) a matrix of the overall objective of the priority program, expected outcomes to 2022, indicators of benefit/impact, and targeted actions and schedule to which PEMSEA Country and Non-Country Partners may indicate/identify relevant activities of possible collaboration/initiatives (ongoing/planned) that would help contribute to achieving the region’s targets. As a living document, the PEMSEA Partners in coordination with the PRF Secretariat would continue to collaboratively identify priorities, outputs and indicative actions that align with the SDS-SEA IP 2018-2022, and jointly implement initiatives/activities that would be identified. To ensure regular monitoring of progress and gaps, progress/achievements of Partners and collaborating organizations will be highlighted during national and regional ocean events, as well as documented via PEMSEA’s Annual Report and the triennial State of Oceans and Coasts (SOC) Report.